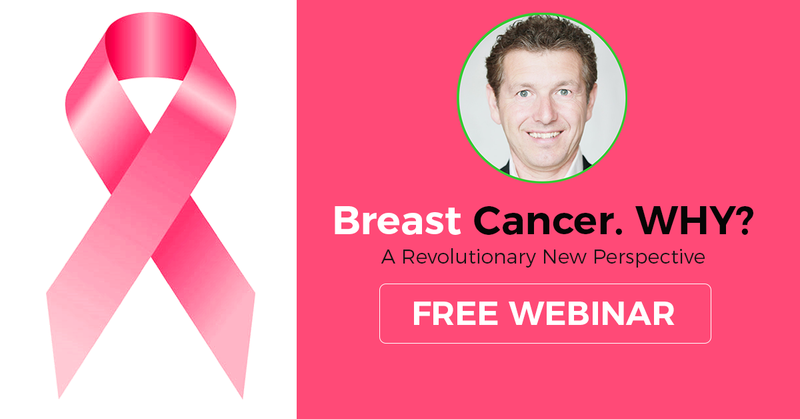 [FREE Webinar] Breast Cancer. WHY? We've been focusing so much on how to fight cancer with all the weapons we have available, that we forgot to ask "WHY"? Beyond risk factors, what's really causing breast cancer from a holistic, bio-psycho-social perspective? What's triggering symptoms and makes them chronic? Why and how are a growing number of women healing naturally? A new health model based on Quantum-Neuro-Biology and the Art and Science of Self-Healing is emerging - and you can learn right now how to transform fear of symptoms into awareness. You'll learn about the 6 Root-Cause(s) of all symptoms and discover that every organ tissue in your body is deeply connected with specific stressors, emotions, beliefs & lifestyle habits which will allow you to choose consciously your path towards health and well-being. "My grandmother had a horrible experience with breast cancer and I could not stop thinking: Why was this happening to her"? The webinar host Johannes R. Fisslinger has been a pioneer in the Art and Science of Self-Healing for 25 years and is teaching globally about Root-Cause Analysis and Lifestyle Prescriptions®. He's the founder of Lifestyle Prescriptions University, developer of ThermoBuzzer Biofeedback Imaging, director of the Titans of Yoga and Lifestyle Medicine documentary films and Producer of Lifestyle Medicine Summits. Register now and receive a worksheet you can use right away in clients. A replay will be available but we suggest you join LIVE to ask questions. discover your own root-cause(s) and listen to bonus self-healing protocols. Discover A Revolutionary New Healing Paradigm.